Kira Buckland is a Los Angeles-based voice actress originally from Anchorage, Alaska. She first got interested in voice acting at the age of sixteen, starting out by voice acting as a hobby for a large amount of Internet projects (particularly Flash animations). In 2007, she won the AX Idol Voice Acting Competition and as a result got noticed by BangZoom! Entertainment, which helped get her foot in the door to the anime industry. After finishing college at the University of Alaska Anchorage (she majored in Japanese), taking acting and voice classes, and continuing to voice act in flash animations and indie games, Kira moved to California to pursue a career as a voice actress. She worked various jobs in the meantime and began auditioning with a few different studios. Since then, she has become the voice of major characters in all sorts of video games, anime, and other projects, and is now able to work steadily in the field. As an avid gamer, the most personally exciting roles for her are voicing Honoka in the fighting game "Dead or Alive 5: Last Round", and the awesome leading lady 2B in "NieR: Automata". When not voice acting, Kira's hobbies include music (particularly classic rock---and David Bowie), makeup, alternative fashion and costuming, fitness, and fine espresso. You can often find her catching Pokemon outside of her favorite coffee shop. A geek at heart, her favorite series is JoJo's Bizarre Adventure (which she even has a tattoo from!) Also, she's had hair of every color at the rainbow at some point. 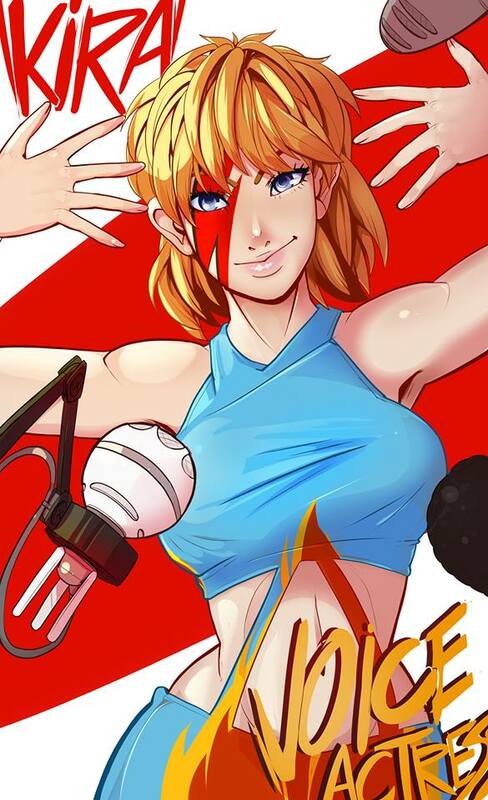 She is the founder of the Voice Acting Club, which enables both aspiring and professional voice actors to connect with content creators all over the world.